МВА education is a choice of those who is ready for new opportunities for career growth. This is an excellent boost for those who desire to establish own business. 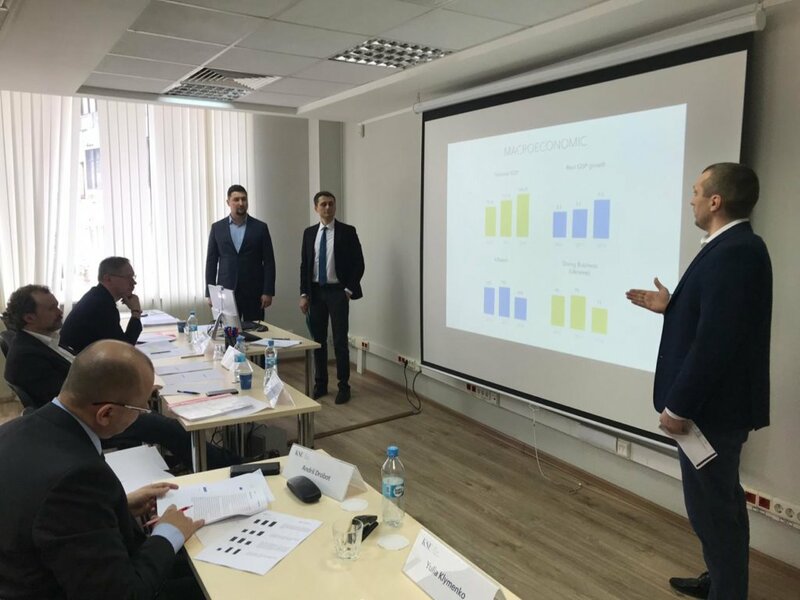 MBA at Kyiv school of economics is a 12-month accelerated program, consisted from 8 core and 5 elected courses. It demands effort, diligence and passion. At the end of the program students represent their capstone projects. 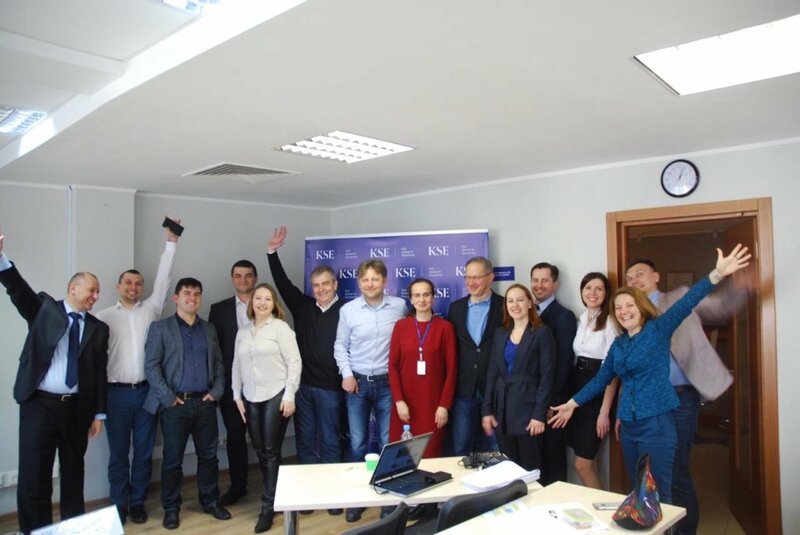 In March, 30 students of 5th and 6th groups had represented their capstones behind the #KSE honorary jury. Groups of students had been working on their projects for the last half of the year, but some of them slowly crystallized the idea for years and finally received the opportunity to pack it in sustainable format. All the capstone projects are well-balanced business plans which are ready for implementations. Let us introduce all of them. ABC Farms is a promising ‘know how’ developed to solve the global problem of hydrotation for agricultural farming. The project is represented by Ihor Kurylo, Hanna Lykhovid, Sergii Lipinsiy. 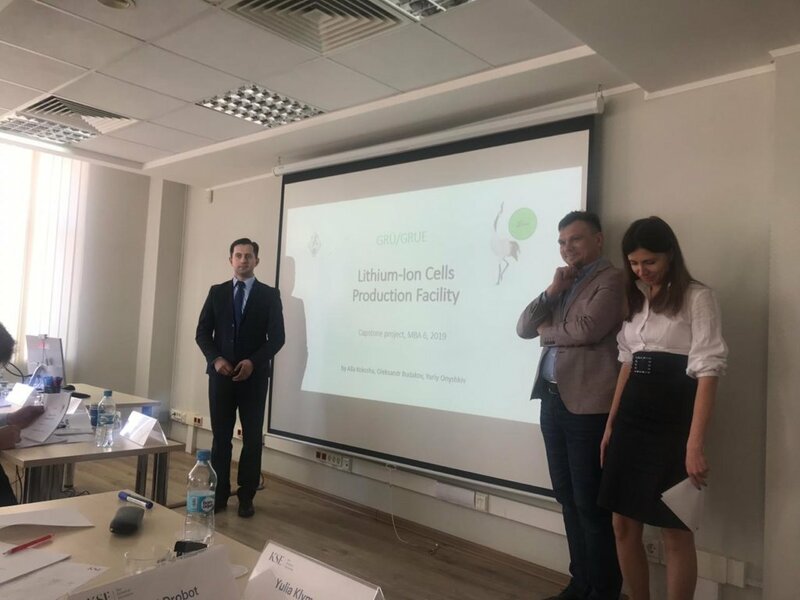 Another group of students (Alla Kokosha, Oleksandr Rudakov, Yuriy Onyshkiv) represented the project of Lithium-Ion Battery plant. Olena Abrashyna, Yulia Poznikhirenko, Inna Zernis developed the concept of Kyiv school of economics for kids. The group was inspired by the idea of offering kids a respectfull education including primary, middle and high with the IB diploma. 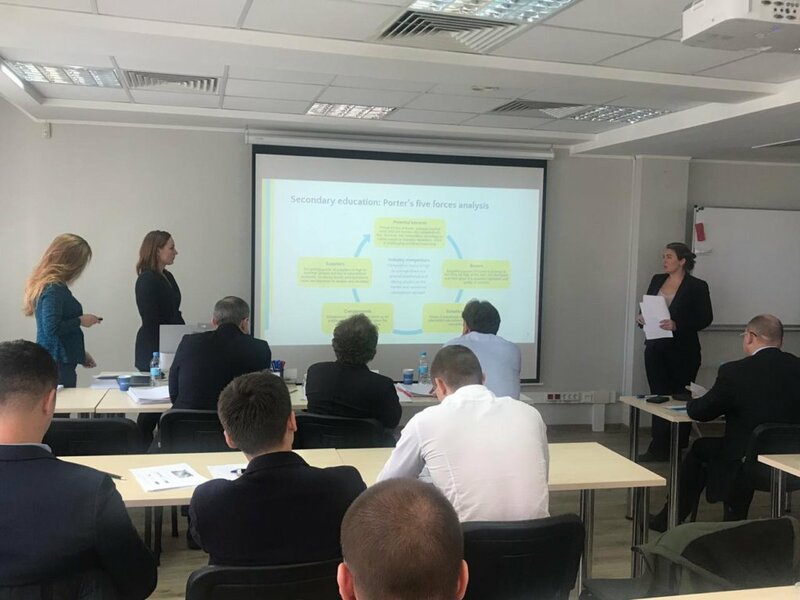 Halyna Khodakovska, Andrii Bomko, Oleh Rozvadovskyy had not just represented their project Nawkolo on a piece of paper, they represented their actual project that started during the job. Nawkolo is the online temporary outstaffing platform for matching employers with part-time workers. The core idea is in splitting the work schedule into shifts and filling each shift separately by users of the platform. (usually with web/app-based platform), walk to the nearest parking point, open the door with electronic key or credit card and drive off. Another plant was represented by Oleksandr Krot`, Oleh Zubchenok, Oleksiy Savchenko. The project describes investment opportunities into 10 MW Solar Power plant construction in Vinnitsa region. 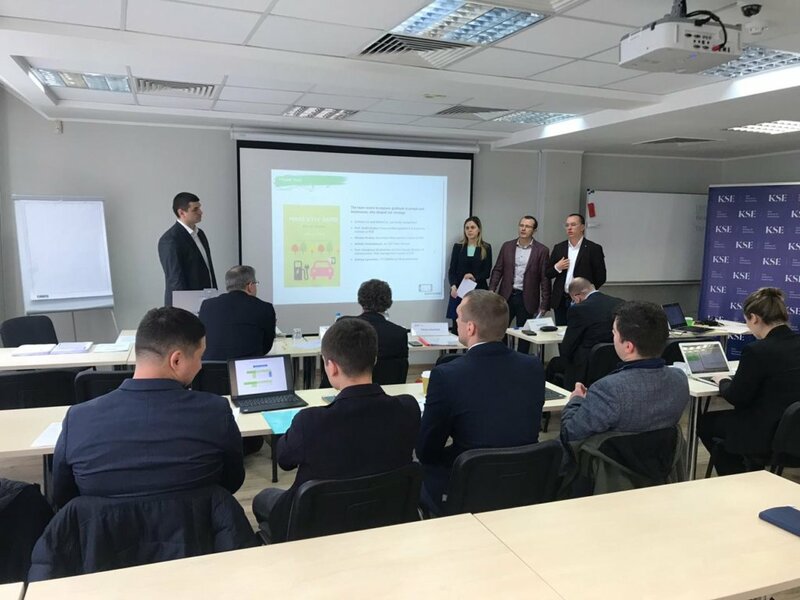 Plant Solar.Tec will join the Ukrainian “Alternative energy sources” and to the governmental stimulation program on renewable energy development.